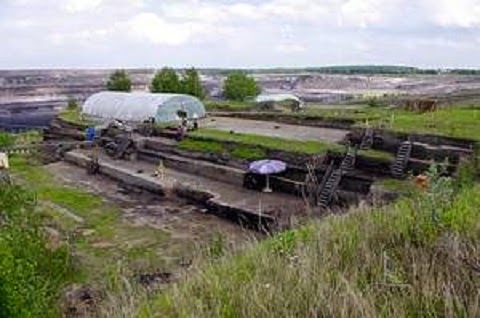 Scientists of the Lower Saxony Heritage Authority and of the University of Tübingen excavating at the Schöningen open-cast coal mine in north-central Germany have discovered the remains of a saber-toothed cat preserved in a layer some 300,000 years old -- the same stratum in which wooden spears were found, indicating that early humans also inhabited the area, which at that time was the bank of a shallow lake. The discovery sheds new light on the relationship between early humans and beasts of prey. 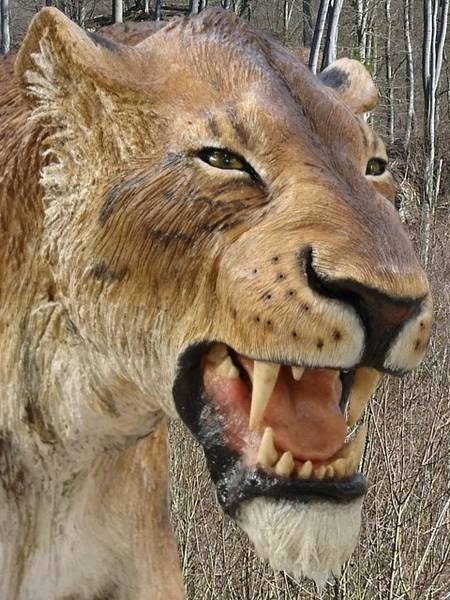 It is highly likely that humans were confronted by saber-toothed cats at the Schöningen lakeside. In that case, all the human could do was grab his up to 2.3m long spear and defend himself. 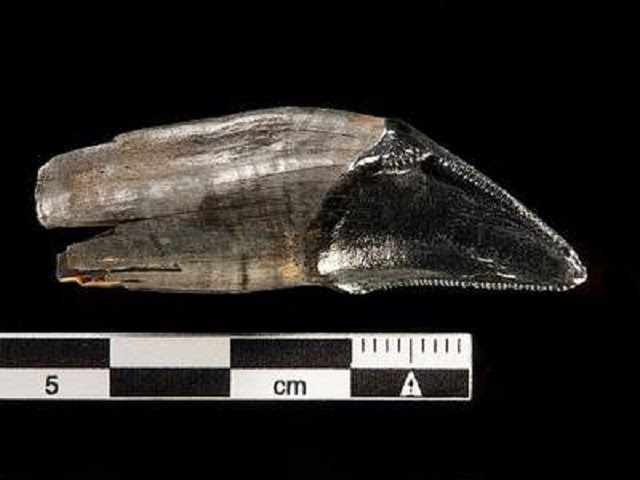 In this context, the Schöningen spears must be regarded as weapons for defense as well as hunting -- a vital tool for human survival in Europe 300,000 years ago. The find shows that the saber-toothed cat died out later in central Europe than previously believed. 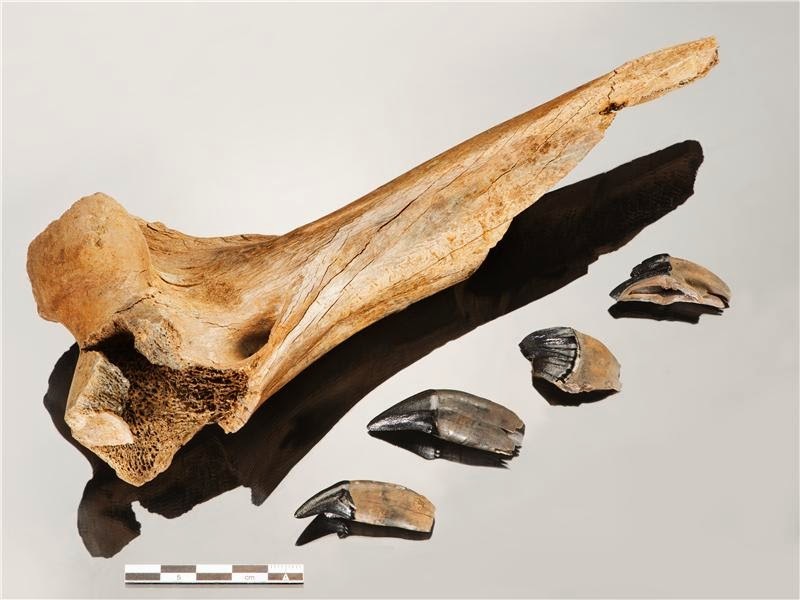 Along with the sensational wooden spears, the same level has yielded bones and stone tools indicating that early humans -- probably Homo heidelbergenis -- hunted horses and camped along a 100m stretch of the lakeside. The new finds demonstrate that a long time before anatomically modern humans, Homo sapiens sapiens have reached Europe some 40,000 years ago, early man was able to defend himself against highly dangerous animals with his weapon technology. The results of the researchers' study have just been published in a report by the Lower Saxony heritage authority, the Niedersächsisches Landesamt für Denkmalpflege.